COMMENT: The denial of St Peter, and Christ’s subsequent forgiveness, was a frequent theme in Fr Doyle’s notes. 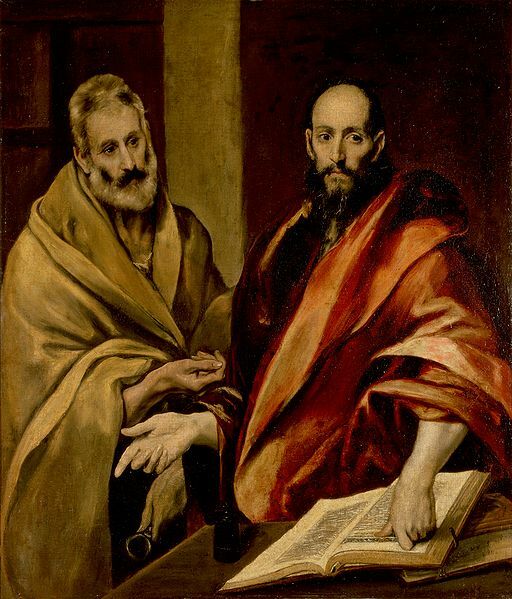 The image of a favoured apostle denying his Master seemed to resonate with deeply with him. 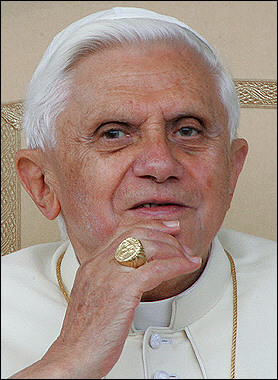 On this day we should remember in our prayers the Holy Father Pope Benedict XVI. He too, could have comfortably stayed at home. He was looking forward to a happy retirement with his “friends” – his books. But the Lord had other plans, and Pope Benedict, a “humble servant in the vineyard of the Lord” complied. We pray especially for him today on this 61st anniversary of his ordination to the priesthood, and we give thanks to God for blessing the Church with such a wise, prudent and holy pope in this difficult time. I began to understand that ‘God’s ways are not our ways, nor His thoughts our thoughts’ and the meaning of it all began to dawn on me. In the first place my life, especially here in the trenches, has become a real hermit’s one, cave and all, a mixture of solitude with a touch of the hardships of a foreign mission. The result has been that God has come into my life in a way He never did before. He has put strange thoughts into my head and given me many lights which I feel have changed my whole outlook upon life. Then I feel, oh, so strongly, that I am going through a kind of noviceship, a sort of spiritual training, for some big work He wants me to do in the future. I feel every day as if spiritual strength and power were growing in my soul. Try to grasp the fact – a very hard thing to do – that in the spiritual life ‘feelings’ count for nothing, that they are no indication of our real state; generally speaking they are just the opposite., . . You are perfectly right when you say that the first thing to do is ‘to give up your own will.’ Why not aim at making God’s will alone yours in every detail of life, so that you would never desire or wish for anything except what He willed, and look on every detail as coming from His hand, as it does? Such a one is never ‘put out’ by anything — bad weather, unpleasant work, annoying incidents, they are all His doing and His sweet will. Try it, though it means high perfection. COMMENT: It is clear from the Fr Doyle’s notes that he had absolutely no natural desire for the hard life that he lead. His diary is so refreshingly honest – he wanted to eat cakes, he wanted sugar in his tea, he wanted more sleep, he didn’t want to pray. He was often tired and sick. Yet he put aside his feelings, and exerted his will and begged God for His grace. Fr Doyle is an excellent role model for us when we don’t feel like doing what we know deep down we should do. “No evil shall come upon you”, (Jerem. 23. 17). It is a consoling thought that God watches over us with unceasing care; that no matter where we may be – alone in our humble cell or passing through the crowded streets of the feverish panting city – the hand of God is over us and sheltering us from a thousand unknown dangers, guiding us safely along the path of life. Wicked men may plot evil things against us, all the hellish horde may rage in fury round us, but harm us they cannot without His consent who directs all things for His own wise ends. COMMENT: Fr Doyle certainly personified this tremendous trust in God throughout his own adventurous life. But we also see this abandonment to, and trust in, Divine providence in the lives of all the saints, and none more so than today’s great saint, Thomas More. There is something quite fascinating about lay saints. Perhaps it is my own bias as a layman that leads me to this conclusion. There are obviously many great saints who were members of religious orders, but then their entire lives – its structure and timetable and freedom from the cares of a family – more readily orient that life towards sanctity. Yes, it takes much effort, and grace, for religious to reach heroic sanctity, but at least the external form and support of religious life offers much help in this regard. For those of us in the world, there are few such obvious supports. In fact, today there are so many temptations and structural obstacles that lead us in the opposite direction that it requires an even firmer will, and lots of grace, to even get us started on the road towards sanctity. That, however, is no excuse, for we are all called to perfection! We must grow where we are planted. This is why the many new lay movements and organisations of different types and spiritualities are a great assistance as they provide structure and support for holiness for those who must seek that holiness in the midst of daily troubles and distractions. Let us pray today that we too may have faith in God’s paternal care for us; let us pray also for our political leaders, that they remain faithful to, and uphold, the natural law. Let us also remember that today is also the feast of the heroic bishop and martyr St John Fisher. Let us pray to him for our bishops, that they will have strength when the time of trial comes.